Some of the best values in Kyoto accommodations can be found in the mid-range bracket. Here’s where you’ll find hotels a step up from standard-issue business hotels, but with prices more humane than those charged by the luxury chains. If you’re willing to spend between Y8,000 and Y14,000 per night for a single, twin or double room, you’ll find yourself spoiled for choice in Kyoto. There are loads of good-value mid-range hotels in the city and they’re going up all the time. For this money, you can expect to find what you might call a “smart business hotel” or a somewhat stripped-down version of an international-class luxury hotel. That means a room a bit more spacious than a business hotel room and perhaps a few design touches to spruce up the place. You’ll also likely find an on-site restaurant or two and perhaps a spa of some sort. The Citadines Karasuma-Gojo Kyoto is an excellent serviced apartment-style hotel on Gojo-dori, in the heart of Kyoto. It’s close to Gojo subway station and within walking distance of downtown. It’s highly recommended. 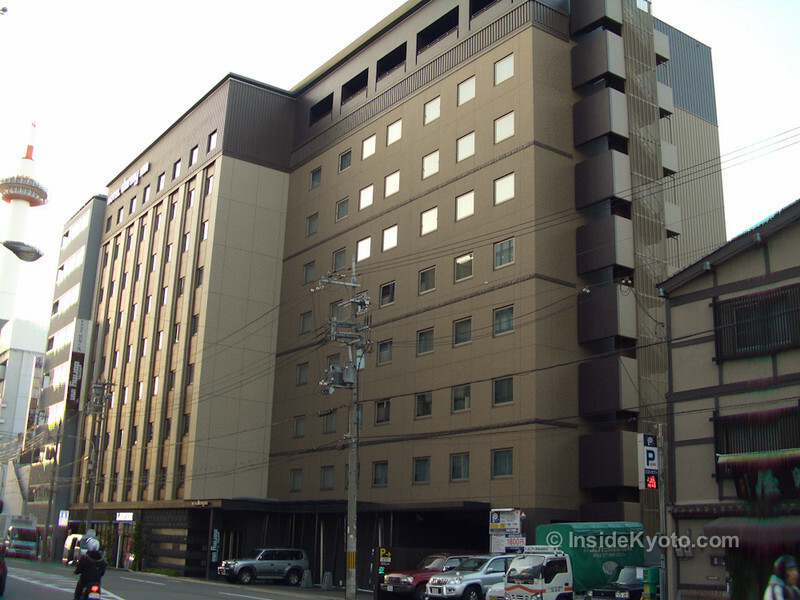 The Dormy Inn Premium Kyoto Ekimae is a good-value upscale business hotel located directly across from Kyoto Station. There’s a great rooftop bath and many other interested features. Book 28 days or more in advance and get really cheap discount rates. The Mitsui Garden Hotel Kyoto Shijo is a slightly upscale business hotel located just a bit west of the city center, but within walking distance of Shijo subway station. The Daiwa Roynet is an oddly named but decent hotel just south of the main downtown area. It’s within relatively easy walking distance of the southern Higashiyama sights and the restaurants downtown. The Mitsui Garden on Sanjo is a business hotel with quite a few extras thrown in. It’s a short walk from the Karasuma-Oike subway station. Located at the southwest corner of the Kyoto Imperial Palace and directly above Marutamachi subway station, the Noku Hotel Kyoto is a smart and comfortable boutique hotel. The Monterey Kyoto is a step up from a business hotel. It’s conveniently located right on Karasuma-dori, within walking distance of all of downtown Kyoto. The Hotel Vista Premio (formerly the Best Western Hotel Kyoto) is a great hotel right in the heart of the city. It’s a stone’s throw from some great restaurants and two subway stations. When you compare what the mid-range dollar buys in Kyoto with other cities like London, Paris or New York, you’ll have to agree that Kyoto is one of the best travel values in the developed world. 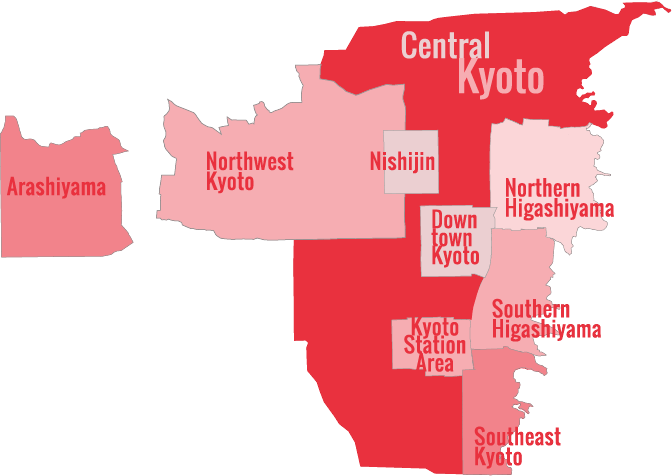 You’ll find the thickest concentrations of mid-range hotels in the Kyoto Station Area, Downtown Kyoto and Central Kyoto. If you’re willing to spend a little bit more, you’ll also find some great value in the luxury hotel category. If you’d like to spend less, you’ll find plenty of great choices in the budget hotel category.